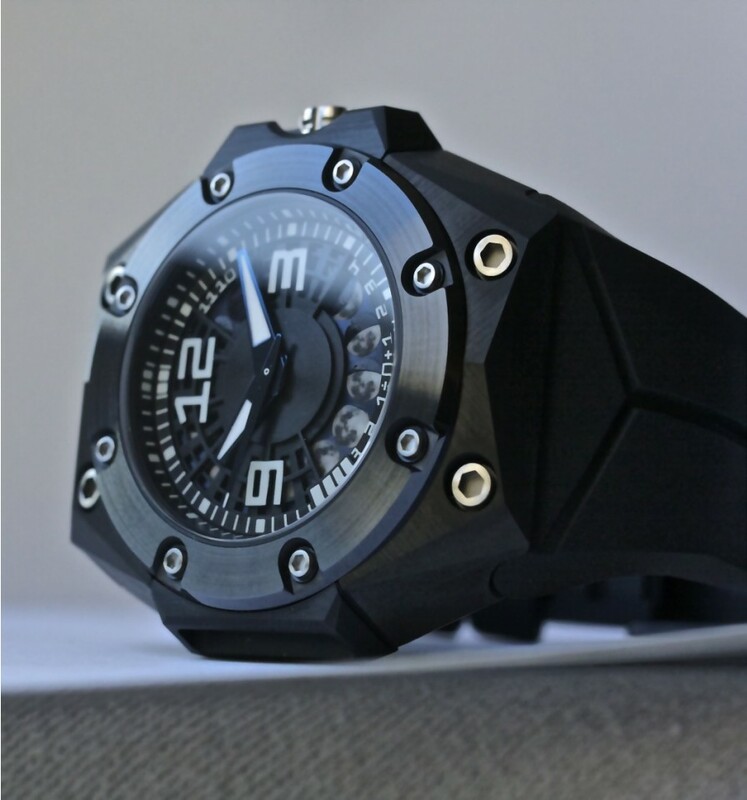 Individually crafted in titanium with a satin finish and a black ceramic bezel to offer superb scratch resistance, the Oktopus II Moon features the first in-house complication entirely conceived, developed and produced by Linde Werdelin. 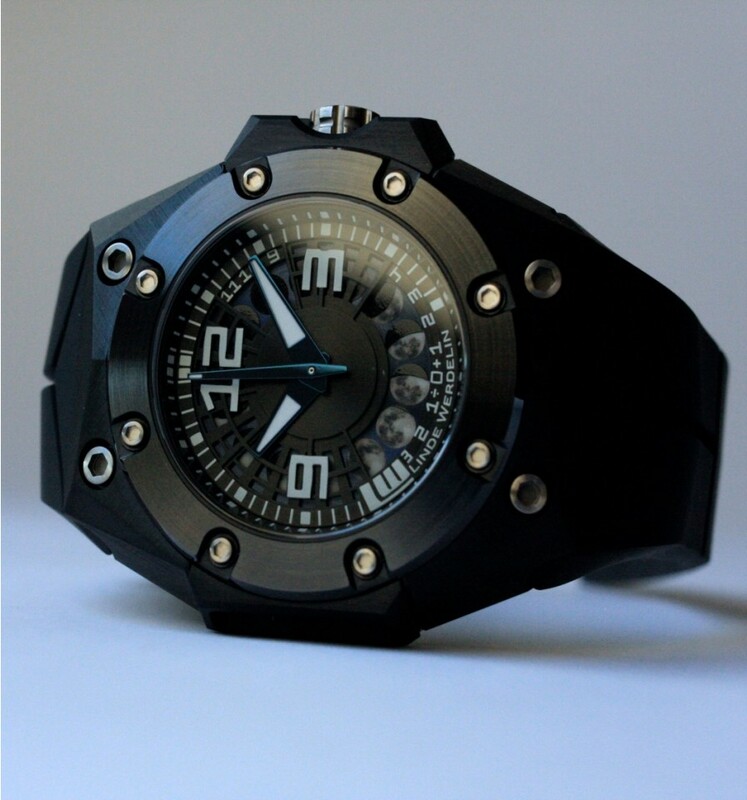 Oktopus II Moon’s complication displays the existing phase of the moon on its dial, just as you see it in the sky. As the moon moves clockwise through its monthly cycle, more of its surface is illumined.. The case back is finely engraved with an octopus drawing created by Morten Linde. The crown carries an engraved octopus symbol. 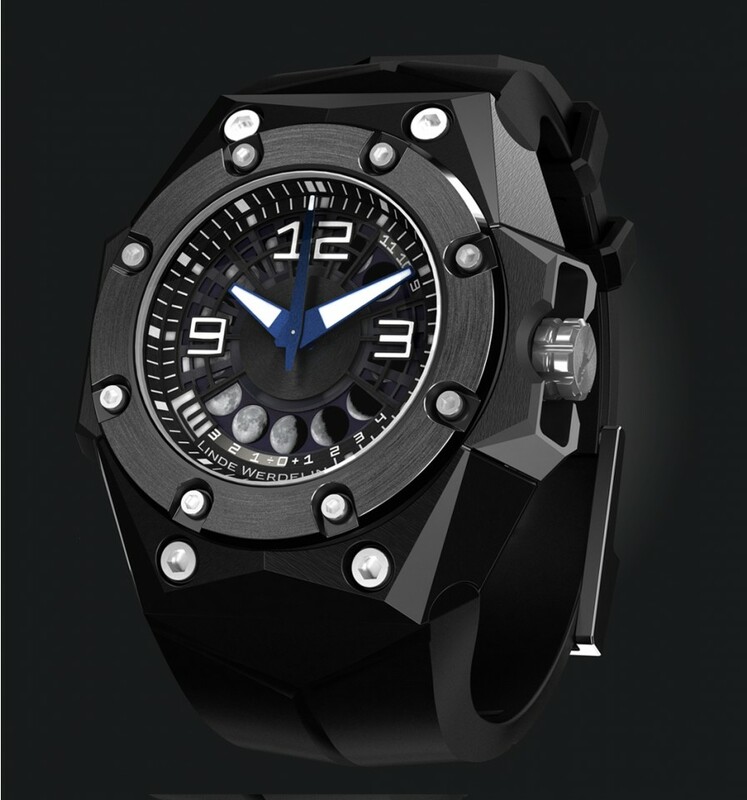 A series of 59 pieces, starting with 47 pieces in titanium black DLC and ceramic. There is a fascinating aspect about the moon and its relation between man and time throughout history. “Originally the moon’s influence on men’s lives has always been highly impactful, moving oceans, moods and inspirations, making it critical to keep track of its phases. 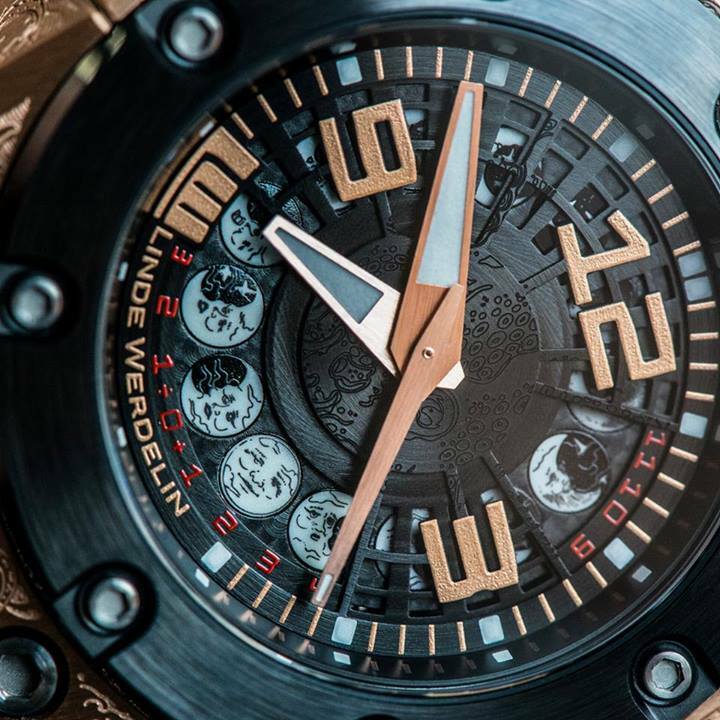 This study led to the creation of our modern calendar, allowing a wider understanding of the past and demonstrating a tight connection with time offering LINDE WERDELIN watchmakers an additional impulse to developing this complication,” says Morten Linde. 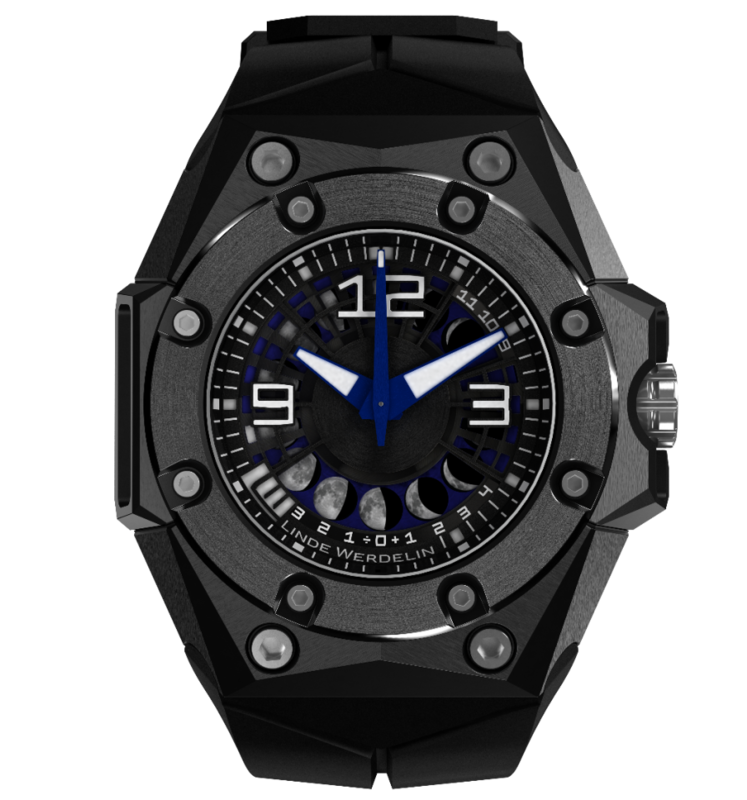 The Oktopus II Moon takes LINDE WERDELIN on a further challenge since the launch of its original moonphase dive watch, bringing for the first time the complication in-house. 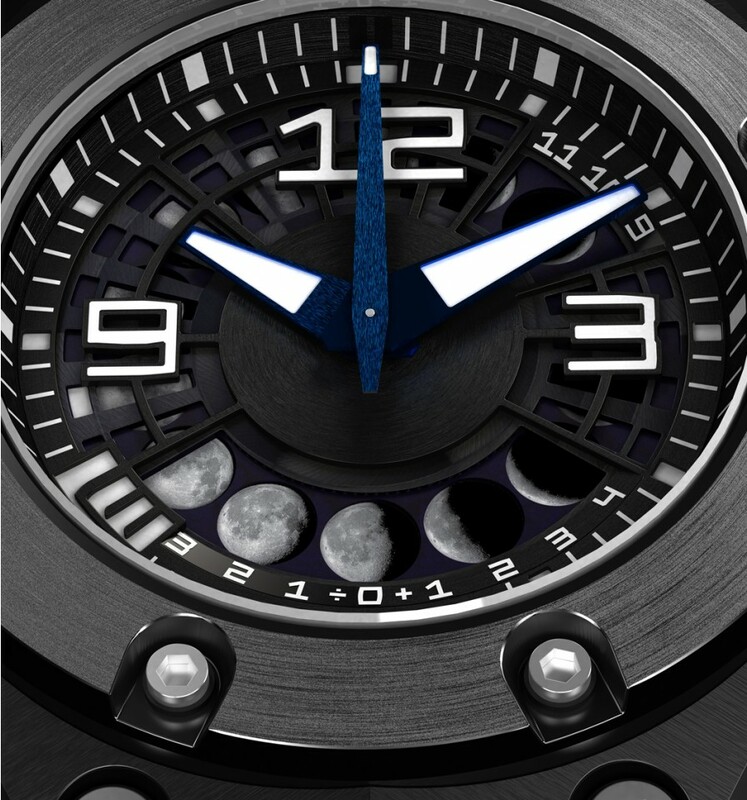 Oktopus II Moon’s complication displays the existing phase of the moon on its dial, just as you see it in the sky. As the moon moves clockwise through its monthly cycle, more of its surface is illumined. The dial consists of three skeletonised layers, conveying immediate depth to the watch. On the bottom lays the moon disk. A metallic cut out surface, resembling the night sky, carries each luminous moon in a blue shade. The second skeletonised layer or lower dial bears a circular Côtes de Genève while the upper and third part is skeletonised and features the LINDE WERDELIN logo, indexes and numerals as well as the three hands. Deliberately luminous, to enhance readability. The full moon is always indicated with a white mark visible through the lower dial. Numerals 11, 10, 9, displayed between 1 and 2 o’clock allow a more precise track of the lunar cycle. 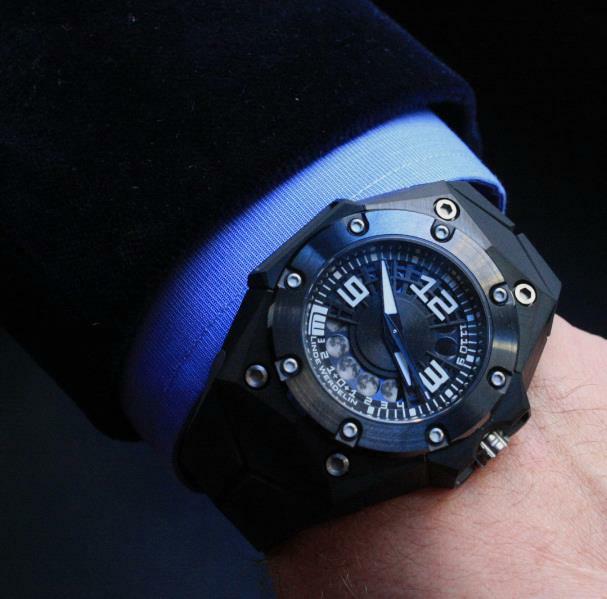 The case is based on the Oktopus II model launched at Basel 2012. 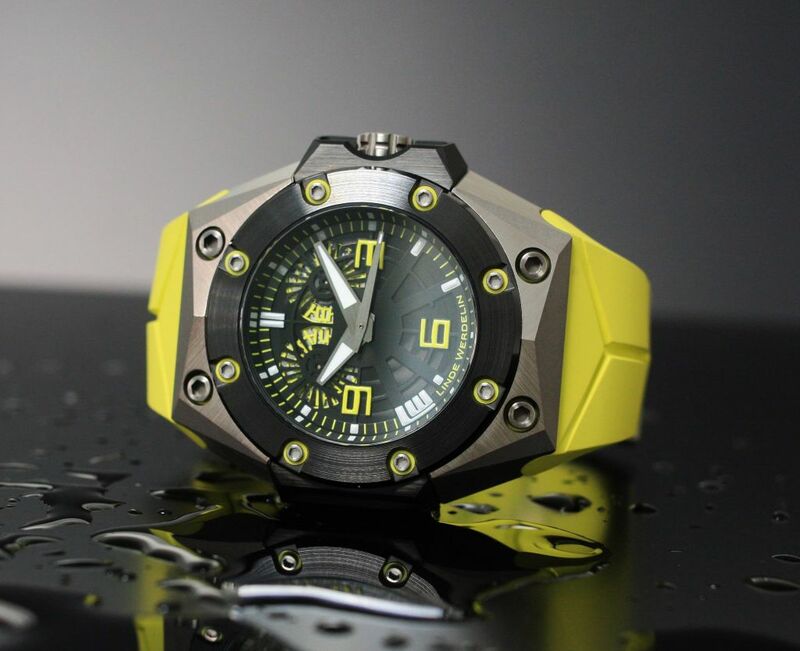 A five-part case construction was inspired by an air-tight pressure chamber used in our lab for diving simulations and testing for both the Oktopus II and the Reef, Linde Werdelin’s in-house developed diving instrument. 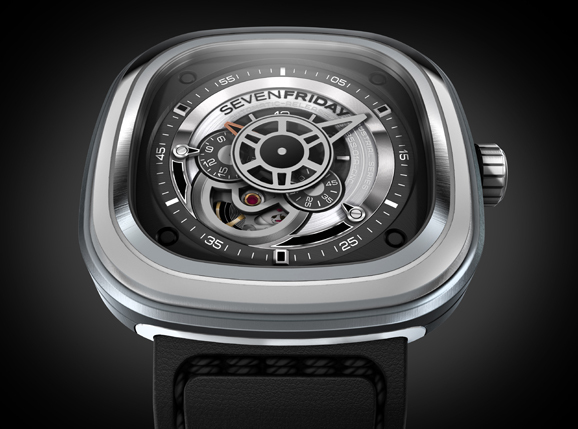 The titanium inner cylinder protects the movement and the dial inside from water ingress. The surface is blasted with microbillé followed by hand satin and polish finishing. The movement is sealed in the chamber by a titanium DLC screw-in backcase engraved with an iconic octopus hand drawing by Morten Linde. 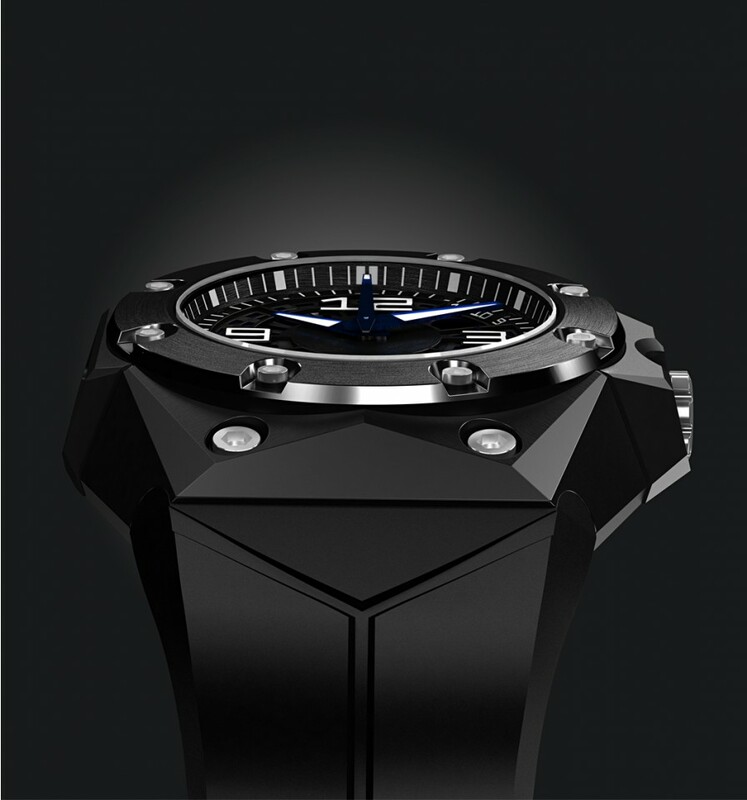 The case is in titanium and ceramic, as these precious materials are some of the least reactive available and highly anti-corrosive against sea water. 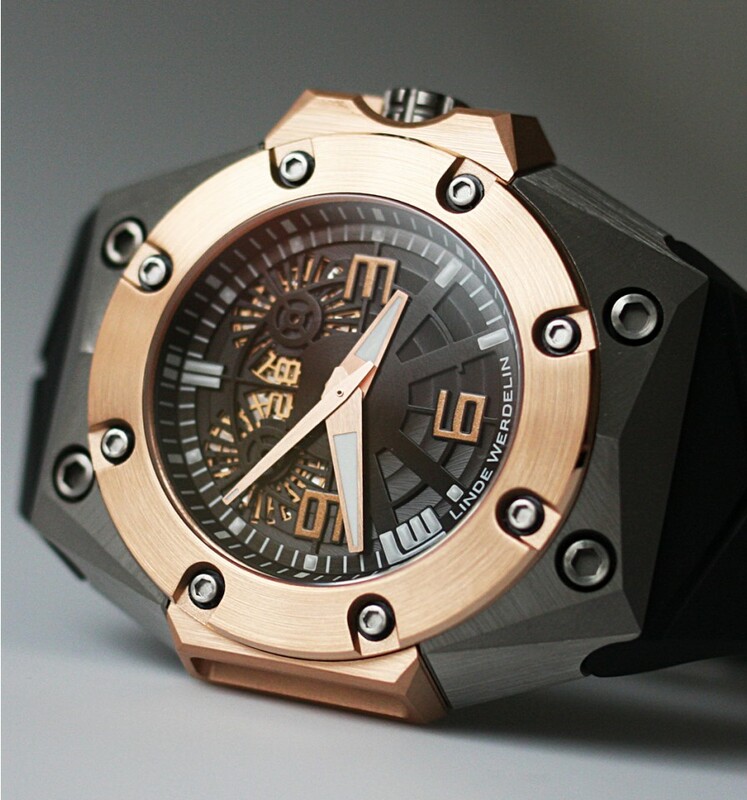 Oktopus II Moon currently comes in 2 versions, Rose Gold Titanium in 12 pieces and Titanium Black DLC in 47 pieces.